Her life reminds us that we must free ourselves from the ET Nibirans’ woman-suppressing attitudes, miscegenation Nibiru’s King Anu, Earth Goldmining Expedition Chief Enlil (designated as “Yahweh” until 2025 BCE when Enlil’s nephew, Marduk, AKA Satan, claimed the Yahweh title), Yahweh’s rivals Allah (Nannar) as well as Popes and fundamentalists of all stripes have inflicted upon us. Jezebel reminds us to accept our essential oneness as humanity. In 1003 BCE, Israelite leader David captured Jerusalem. Then, in 931 BCE, David’s successor Solomon died. 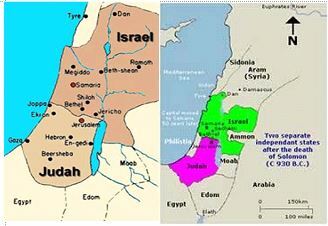 Abraham’s descendants split their turf into the kingdoms of Judea in the south and Israel, bordering Phoenicia–land of traders–on the north. Until 910 BCE, Jeroboam, Rehoboam, Abijah, Nadab, Baasha, Elah, Zimri, then Omri ruled Israel. In 872, the King of the Tyre, the Phoenician ITHBAAL, allied with Israel. 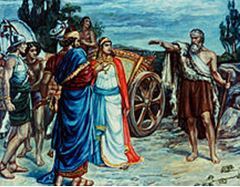 Ithbaal gave his daughter Jezebel to AHAB, the successor to Israeli King OMRI. Ithbaal and his daughter Jezebel descended from both the Enkiites (Marduk’s agents) and the Enlilites (Yahweh’s). 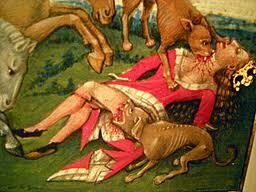 As Omri’s Queen, Jezebel would, the new allies hoped, bridge Enkiite and Enlilite factions that competed for Canaan. Omri defeated an Assyrian attack, then gave the defeated Assyrians mercy. Instead of death, Omri, at Jezebel’s insistence, pardoned the Assyrians and let them ally with Israel instead of kill them. 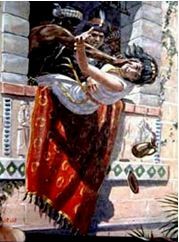 Yahweh and Elija, Yahweh’s man in Israel, blamed Jezebel for Israel’s forgiveness policy toward Assyria. 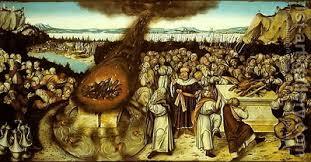 Arrange the death of Omri and Jezebel, Yahweh ordered Elija to arrange deaths for Omri and Jezebel.